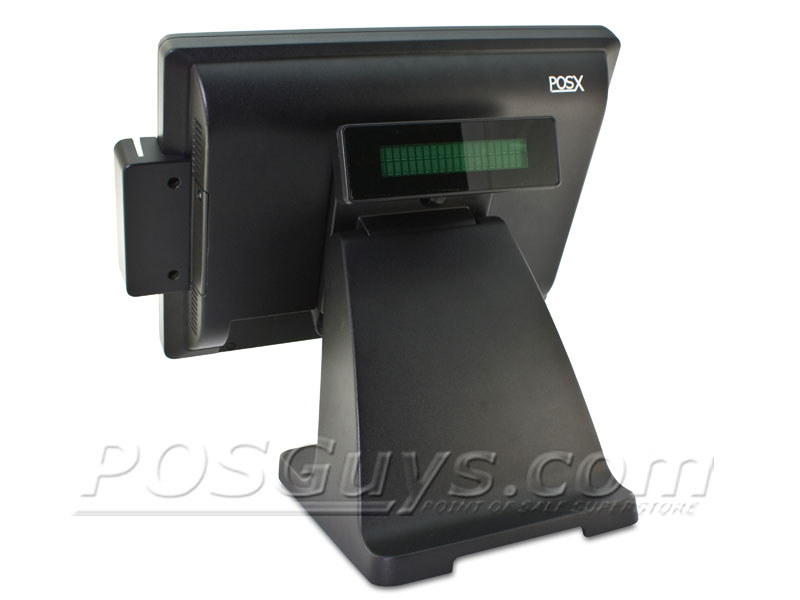 The POS-X EVO-TP4 Tru-Flat has reached end of life. It has been replaced by the POS-X EVO-TP4. The POS-X EVO-TP4 Tru-Flat POS computer expands on the EVO-TP line, with the addition of a sleek bezel-free screen design. 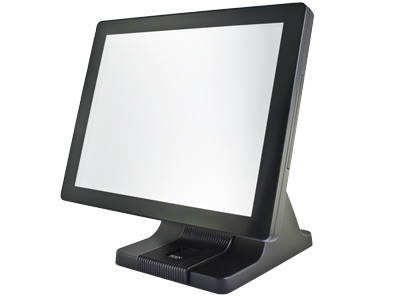 Eliminating the customary plastic bezel renders the EVO-TP4 Tru-Flat easier to clean, improves the user experience and can even prolong the monitor’s life. As with traditional EVO-TP4 POS computers the Tru-Flat versions feature a 1.8 GHz Dual Core Intel Atom Processor granting increased processing power over the previous EVO-TP models. They also sport a protective IP54 seal to keep dust and water from getting inside the computer and a rugged aluminum alloy frame that channels heat away from the motherboard. With the increased durability, a standard 3-year limited warranty and the optional POS-X Rapid Replacement Warranty, the EVO-TP4 Tru-Flat will provide years of reliable service for your business. 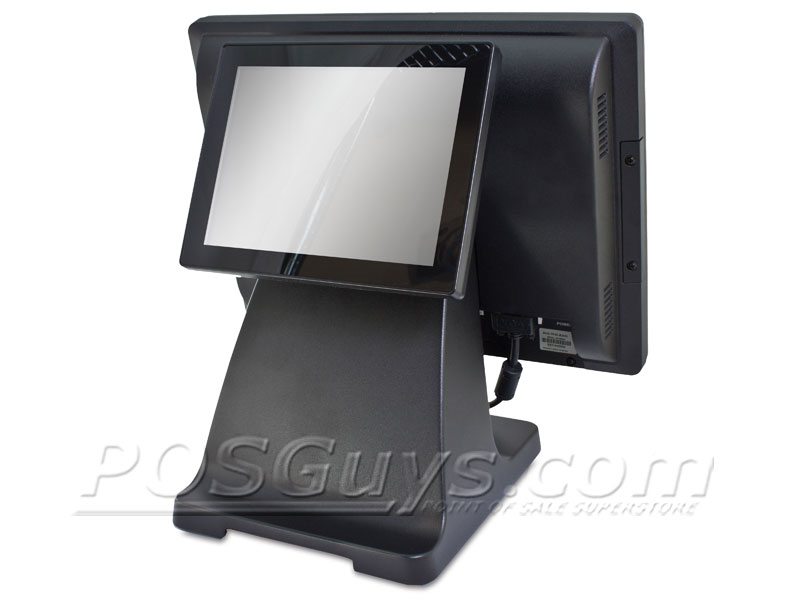 For the standard bezel version of this POS computer view the POS-X EVO-TP4 POS Computer. My EVO-RD4-VFD isn't receiving power after I connected to my EVO-TP4 terminal. How can I fix this? After confirming that the station is turned off, make sure that the cable from the VFD display is plugged into the 12V COM port on the all-in-one station. That port is a powered COM port and should supply the display with power. If it still isn't receiving power, the port may need to be enabled in the BIOS. To enable the port in the BIOS, turn on the computer (or reboot the computer if it's on). As soon as the first screen that appears, hit the Delete key to access the BIOS. Scroll to the right, and select the Advanced menu. In the Advanced menu, scroll down until you reach VGA/COM Power Configuration and press Enter. Make sure the COM port is enabled. If not, select the COM port and press enter. Highlight 12V and press enter. The EVO-TP4 Tru-Flat sports an elegant touchscreen design, similar in appearance to some of the more expensive touchscreens on the market. 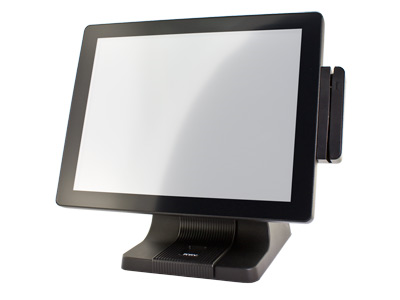 While it may look high tech it still features tried and true Resistive touch technology, one of the most popular screen types of all time for restaurants and POS. The POS-X EVO-TP4 line is always a fantastic choice for it's great value and the Tru-Flat models are no exception, providing an affordable zero-bezel solution for businesses everywhere. Find it faster! Click here to compare EVO-TP4 Tru-Flat models by feature.